Empowered Online Shoppers In A Modern Walled Garden? - Interaria Blog / Apple, Google, Industry News, iPhone App, Social Media, Web Application Development / Empowered Online Shoppers In A Modern Walled Garden? Empowered Online Shoppers In A Modern Walled Garden? By this definition for instance, Facebook and eBay (that require registration) and iOS Apps (that firstly require approval by Apple, and secondly download by a consumer) can be regarded as walled gardens. A consumer cannot be active in these sites without first signing in and following the policies set by these entities. In the past – that we know – walled gardens haven’t really worked out that well. For instance, consider Apple’s eWorld from 1995 that was designed for a complete community online shopping and news sharing experience. All was fun in the beginning but eventually eWorld’s members’ natural curiosity broke the walls as new technologies enabling more different user experiences colluded against Apple’s eWorld. In the past, small online vendors would choose PayPal for assuring their customers that check-out from their online store was secure. For larger brands, however, sending a customer to a PayPal page to pay for an order was considered a distraction from the online store brand experience. They regarded important that the customer’s user experience was to stay as controlled and unified as possible. Today, the question is not only so much that customers consider credit card check-out as unsafe (which some might still feel), but many shoppers regard third-party checkouts as a convenient way of paying, especially when checking out while using mobile devices. PayPal, Google, Amazon and Apple have tapped into the business of consumers desire to check out as fast as possible, PayPal being in the clear lead by the number of vendors using them. Companies such as Abercrombie & Fitch, Ralph Lauren Rugby, American Eagle Outfitters, Nautica, Walmart and Dell, have noticed this new trend and are today offering a PayPal check-out through PayPal’s website as an additional method for checking out. By the end of 2009 a continually growing number of smart phone users had shifted many vendors to offer device specific user experiences of their online stores. Most major retailers began developing iOS apps for this audience, honing them and upgrading them to the point that as of today the store experience in many iOS store apps is quite smooth. Online store apps for Android mobile devices are a little behind the development of iOS apps but are all definitely in the works, and PayPal is very much encouraging this development. In March 2011, PayPal announced a special app competition for Android app developers to speed up the development time of PayPal stores on the Android platform. Clearly PayPal is looking to be the number one online store payment gateway for all online shopping. 1-800-Flowers announced in July 2009 (http://www.internetretailer.com/2009/07/29/1-800-flowers-debuts-the-first-online-store-on-facebook) that it was the first company to open an online store in Facebook. Although the complete check-out experience did not take place within the Facebook website (consumers would have to leave the site but they would still stay logged in as Facebook members for comments), the key shift was that the consumers were shopping as Facebook members. This vendor had tapped in to the zeitgeist of the Facebook lifestyle by suggesting that buying flowers as a Facebook member was something desirable and neat. By 2010 check-out inside Facebook was a technological reality. For example, Delta launched a Delta Ticket Window in Facebook (http://mashable.com/2010/08/12/delta-ticket-window/) and Kembrel (http://apps.facebook.com/kembrel/) also introduced a Facebook based online store specifically targeting student living: visiting an online store was now like visiting one’s favorite coffee house behind the corner. A New Shift Towards Modern, Fluid Walled Gardens? Facebook tapping into the online store market is in the context of a walled garden a story of a modern community forum staying relevant. Facebook’s message to the member is: if all is fun and functional in this garden, why leave when you can stay. In case a user decides to leave the walls, it is in Facebook’s interest to re-enforce the membership by slipping into the users life various Facebook plugins and widgets. Ultimately, in the long run, the success of any garden is determined by technological innovation and the provider’s ability to empower the subject to explore life outside the walls while maintaining relevancy and value to its membership. Staying technologically current is crucial. The question is at what point does the consumer want to leave the party and break free entirely. Meri Kuusi-Shields – based in Dallas, Texas, USA – works as a creative & business director for Interaria. Meri thanks James at Interaria for sharing his eWorld experiences. 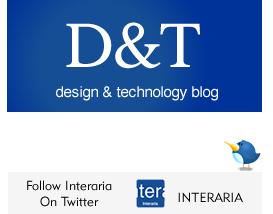 You can follow Interaria on Twitter. This entry is filed under Apple, Google, Industry News, iPhone App, Social Media, Web Application Development.